Learn about finance through Jesus’ resurrection. 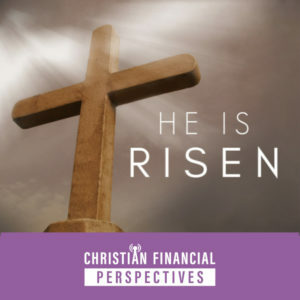 Here at Christian Financial Perspectives, Easter is an important holiday to us because it represents the resurrection of our Jesus Christ. Bob and Mary Jo wanted to offer some insight into the Easter story and how it relates to money. Did you know that one of the best storytellers was Jesus? He taught with messages of hope and love through his parables. His parables are great tools, even in today’s world, for learning valuable lessons. In today’s episode, Bob and Mary Jo present different financial teachings of Jesus taught through his resurrection.